A colonial school of higher learning, which in effect was a German Boys High School, was organized in Lancaster in order to, "Unite the different religious sects, introduce the English language among the German citizens, preserve the German language from extinction and corruption and to qualify sons of Germans to serve in the legislature, etc." That school still exists and is today known as Franklin and Marshall College. Today - The Lancaster Liederkranz continues to operate as a vital and growing family oriented organization. It perpetuates and amplifies its worthy original purpose of promoting German culture and customs through music, song, dance, art, language and international exchange. The Liederkranz welcomes men and women of good will who share its purpose. Come visit and you'll find that Gemutlichkeit prevails. 1837 - The German Literary Society was organized in Lancaster. 1854 - The Lancaster Social Turngemeinda was in existence in the city. 1858 - The Lancaster Mannerchor was organized. 1873 - The Liederkranz formed in the Manor Hotel, 355 West King Street, Lancaster. 1880 - The Liederkranz was chartered by the Lancaster County Court and moved to quarters in the Schiller Haus, 283 North Queen Street, Lancaster. This is recognized as the official start of the present day Liederkranz - July 4, 1880, our birthday. 1888 - The Liederkranz along with the Lancaster Mannerchor and the Arbeiter Mannerchor participated in their first NOSB (Northeast Sangerbund) Sangerfest. 1890 - The Germania Mannerchor was organized by a group who separated from the Liederkranz. They built a large hall at 240 North Prince Street which later burned down. During World War I the Germania Mannerchor disbanded. A small group of its members formed the Concordia Singing Society at 132 North Water Street with the majority returning to the Liederkranz. The Concordia later disbanded. 1909 - The Lancaster Mannerchor and the Arbeiter Mannerchor consolidated with the Liederkranz. Frank Rieker, Lancaster's brewing king, arranged for the money to renovate a building on Prince and German Streets (now Prince and Farnum) with the addition of a concert hall/ballroom and Ratskeller. The Liederkranz moved into these facilities the following year. 1911 - The Liederkranz Ladies Auxiliary was formed. 1917 - A Summer Home and picnic ground was purchased at Sunnyside. 1917 - With the coming of World War I German popularity declined. Even some of the street names were changed with German Street becoming Farnum Street after the name of the adjacent cotton mill and Freiburg Street becoming Pershing Avenue after the name of John Joseph Pershing, the first American commander to lead US troops in Europe. In Manheim, Prussian Street was changed to Main Street. The court, however, requested the Liederkranz to remain intact and to continue with its singing of Deutsche Lieder. 1927 - Graf Felix Von Luckner arrived in Lancaster to promote funds for German relief. He was entertained by the Liederkranz Chorus at the Odd Fellows Hall at 213 West Chestnut Street. 1929 - The Liederkranz Kapelle was organized by Matt Gegg Sr., Guss Schultz and George Soeldner. 1930 - The Liederkranz celebrated the 50th Anniversary of its Charter in true German spirit. The Fulton Opera House was rented to receive none other than the great contralto Madam Ernestine Schumann-Heinke. It was a grand gala occasion as the Deutsches Volk assembled to hear the great lady sing. 1938 - The Liederkranz Kapelle changed its name to Landler Kapelle. 1939 - The Summer Home and picnic ground in Sunnyside was sold. 1942 - With the coming of World War II the facilities of the Liederkranz were thrown open to all men in uniform, as sons and daughters went forth to defend their country against their brothers and cousins who were following a different government and its philosophy of life. The court again requested the Liederkranz to remain intact and to continue with its singing of Deutsche Lieder. During this time all programs were opened with Stars and Stripes Forever and closed with the Star Spangled Banner. 1947 - The Liederkranz Ladies Auxiliary was reorganized. 1955 - The Liederkranz celebrated the 75th Anniversary of its Charter. 1958 - The first Liederkranz Schuhplattler group was organized, but remained active only a few years. It later reorganized in the 1970s as the Alpenrose Schuhplattlers and continues today as an active performing organization of the Liederkranz. During that time the first Kindergruppe was formed and danced actively for about six years. 1973 - The first Oktoberfest was held at the Guernsey Sales Barn on Lincoln Highway East at the junction of routes 30 and 896. 1978 - The Hobby Chor formed for men interested in singing lighter German songs than those generally sung by the chorus. 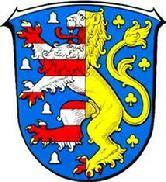 1992 - The Kindergruppe Schuhplattlers were reorganized for the children of members by Bob and Mary Ellen Kilp. 1993 - With the German influence in the neighborhood declining the facility at Prince and Farnum Streets was sold and the Liederkranz moved to the clubhouse and grounds of the Mt. Joy Legion at 722 South Chiques Road in Salunga, PA. The first events, the Club Picnic and Oktoberfest, at this new location were held respectively August and September. Official occupancy and ownership of the facility occurred November 3. 1994 - The first Maifest at the new club was held in the spring, but the weather proved to be a little too cool so the following year it was moved to June and changed to our current Sommerfest event. 1995 - The Liederkranz Constitution was changed opening the opportunity for full membership in all categories to women. 1997 - The Liederkranz hosts the 46 National Sangerfest of NOSB for the first time in Lancaster at the Host Resort & Conference Center on Lincoln Highway East. 1998 - With the ladies taking a more active part directly in the club as members, the Ladies Auxiliary was disbanded. Active Membership was expanded to include not only the members of the chorus, but also the hobby chor and Schuhplattlers as well. 2001 - The Liederkranz hosts their first Kinderfest for the children's' Schuhplattler groups from throughout the Mid-Atlantic states area. 2003 - Two changes were made to the constitution. In the first, the membership agreed to treat the office of president the same as all other offices, other than the active membership requirement, by elimination the five term limitation. In the second they increased the number of authorized trustees from five to seven. The Liederkranz celebrated paying off of the mortgage on the Salunga facilities with a mortgage burning ceremony at the annual Club Picnic in August. 2005 - January 29 - The Club holds its first Eisfest. After attending a similar event in Germany, 2004, along the river Vils while visiting his cousin, Rudolph Thau; (also a LLK member from Vilshofen, Germany) Club member Steve Feilmeier and a small group of his friends gathered around a bonfire for some wintertime gemutlichkeit at the Pavilion. The event, sponsored by and now called the, "Friends of Steve Feilmeier Eisfest" is held each year in January, the week before Super Bowl. - June 12 (celebrating July 4 anniversary) - The Liederkranz celebrated it's 125th year Anniversary with a concert at McCaskey East High School auditorium in Lancaster. Although the actual anniversary day is July 4th the celebration was held on Sunday June 12th as the third day of Sommerfest weekend. All the club's organizations performed beautifully ...The Chorus, the Hobby Chor, the Alpenrose Schuhplattler Verein and their Kindergruppe and the Alleweil Jung German Folk Dancers. In addition visiting choruses from New Jersey, Philadelphia, Washington, DC and San Antonio, Texas all performed admirably. The concert was followed by a picnic for all at the club's grounds and pavilion. 2006 - The Club celebrated the first flag of the Alpenrose Schuhplattler Verein at their Fahnenweihe held at the Lancaster Host Resort, June 30 - July 2. The Fahne (flag) was hand made in Germany, and is the visual representation of the Verein. 2008 - July 18 - The Club holds its first Parrot Fest. In an effort to find a summer club event to replace the previously held annual Steak Fry, president Paul Stanavage organizes our first Parrot Fest. While a break from traditional German-style fests, Parrot Fest proves to be a solid fund-raiser for the Club and draws hundreds of "Parrot-heads" to enjoy margaritas, Corona, and the Jimmy Buffet-style music of "Jimmy and the Parrots." 2010 - The first Multi-Cultural Fest was held at the club's pavilion, June 13. This was a joint venture of the Lancaster Liederkranz, Lancaster Italian Cultural Society, and Lancaster Irish American Cultural Society. The day was celebrated with ethnic foods, drink, music, singing, and dancing. The Greek Society joined the venture in 2013. 2011 - March 19 - The club hosts its first Jungendfest. The fest is designed for young adult schuhplattlers from groups in the mid-Atlantic region to display and be judged on their talents dancing an Einzel Plattl. September 8 - Tropical storm Lee caused the Little Chiques Creek to rise and fall 18-1/2 feet in one day; flooding the ballroom in the lower level of the clubhouse and pavilion. Most picnic tables were lost in the flood. The annual Oktoberfest fundraiser fest, scheduled the following weekend had to be postponed until the end of October. 2012 - The Club holds its first beer tasting event in the pavilion on August 18: "Smokin' Brews and Blues Fest." Over 20 breweries participated along with food service and live blues music. 2014 - Stream Bank Restoration Project - Due to the devastation by Tropical Storm Lee on Sept. 8, 2011, the Executive Committee appointed a Stream Bank Restoration Committee to oversee the project. The club joined with the Chiques Creek Watershed Association and worked with the Lancaster Co. Conservation District and LandStudies to plan and design the $210,000 project that stabilized the steam bank and provided additional floodplain area. The project began in February and was completed in May. 2015 - May 9 - The club held its first Maibaum Aufstellen, the raising of our new Maypole in the German tradition, by hand; and in conjunction with the event, held an attempt to break the Guinness World Record May Pole Dance. August 29 - The club received official announcement from Guinness that the Liederkranz officially holds the World Record as follows: Guinness World Records: The largest maypole dance consists of 326 participants, and was achieved by Lancaster Liederkranz (USA) in Manheim, Pennsylvania, USA on 9 May 2015. All participants completed a traditional seven step dance in a circle around the maypole. 2016 - Under the guidance of member Elise Bullington, daughter of past member Monica Fasnacht, the Club holds its first Christkindlmarkt. This inaugural German-style Christmas Market held at the Pavilion, draws an estimated 1,000+ members and guests. A Christmas tree at the Pavilion is dedicated in memory of Monica, who's dream of a Christkindlmarkt is finally included in our annual schedule of fest events. The tradition continues each year on the 2nd Sunday in December.